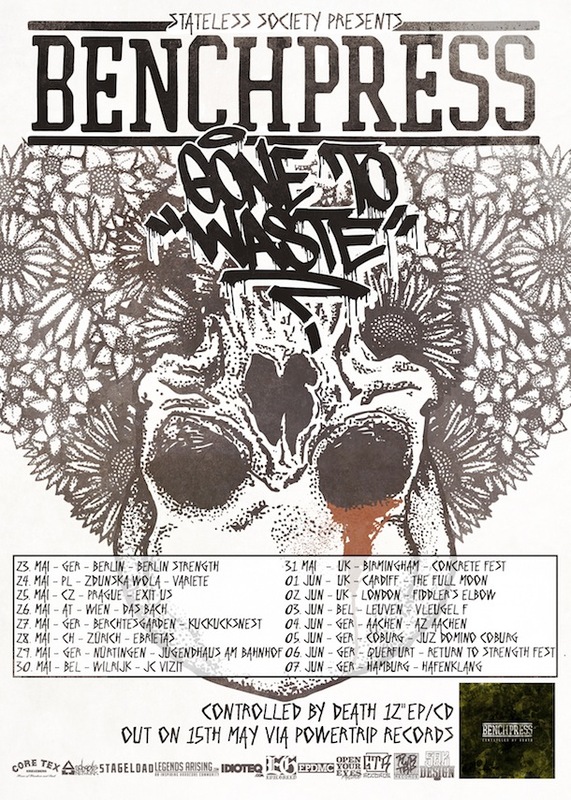 Benchpress from Lewistown, PA are kicking off their European tour today with our buddies in Gone To Waste. They’ll be on the road for two weeks covering Germany, Poland, Czech Republic, Austria, Switzerland, Belgium and the UK. Check the full list of dates below and make sure to attend a show in your area! Tags: Bandcamp, Benchpress, Dates, Europe, European Tour, Facebook, Gone To Waste, Poster, Presents, Tour. Bookmark the permalink.